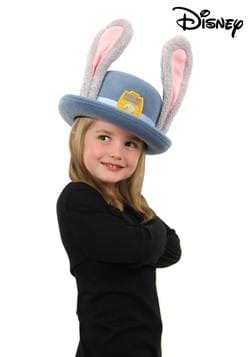 If you had the chance to bust out of Bunnyburrow to become a police office in Zootopia, would you? 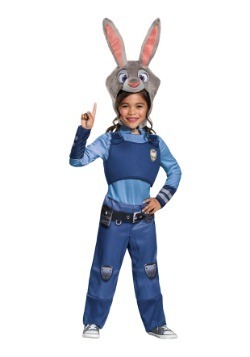 That's the big decision that little Judy Hopps had to make but that brave little bunny didn't think twice about taking the dangerous job, and as a result she solved one of Zootopia's biggest mysteries. If your little ones loved watching Judy and her sly fox-friend Nick Wilde get to the bottom of why a lot of the Zootopia resident have "gone savage." 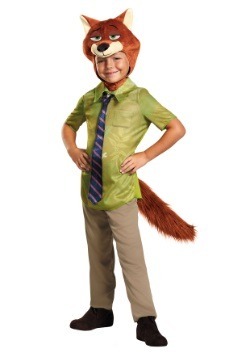 Our Nick Wilde Boys Costume will turn little sly guys into the popsicle stick selling fox who changes his devious ways by the end of the movie. 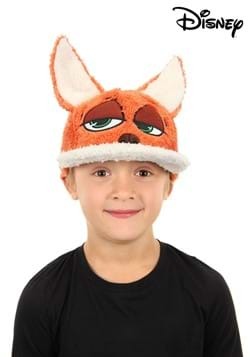 The officially licensed bowler hat and baseball cap feature fuzzy ears that will transform your child into their favorite Zootopia characters in an instant!